The expansive Snowmass Ski Area, as seen from Brush Creek Road last winter, climbed to fourth in Ski magazine's annual readers survey. Snowmass ascended to one of its highest rankings ever in SKI magazine’s annual readers’ survey while Aspen Highlands soared into the top 10 and Aspen Mountain took a mysterious dive. Snowmass was ranked fourth overall for western North America resorts in the top-15 survey, which is in the recently released October edition of SKI. Aspen Highlands was ranked eighth, while Aspen Mountain came in at 12th. “It’s a (better) cumulative ranking than it was last year,” Aspen Skiing Co. spokesman Jeff Hanle said Wednesday. Skico doesn’t use the rankings for marketing fodder or to tweak its operations, Hanle said. It relies on internal surveys of its guests to rate its performance. On the other hand, the magazine rankings do get read at Skico HQ. “It’s always interesting to see where everybody falls,” he said. Buttermilk is always overshadowed, kind of like Ringo in the Beatles. It doesn’t place in the survey even though it’s been the longtime home of the Winter X Games, but the magazine had its own way to describe Snowmass. Deer Valley, recently acquired by a new company co-owned by Skico’s owners, finished on top for the first time in six years. SKI opens up its survey to readers, so it’s far from scientific. It might be a better gauge of who is reading the magazine than hitting the slopes. One of the head-scratching results this year was Aspen Mountain’s fall from grace. It was at the lofty position of No. 2 last year before tumbling to 12th this year. Last year was the anomaly over the past five years. Aspen Mountain was ranked 12th or 13th each year from 2013 to ’15. 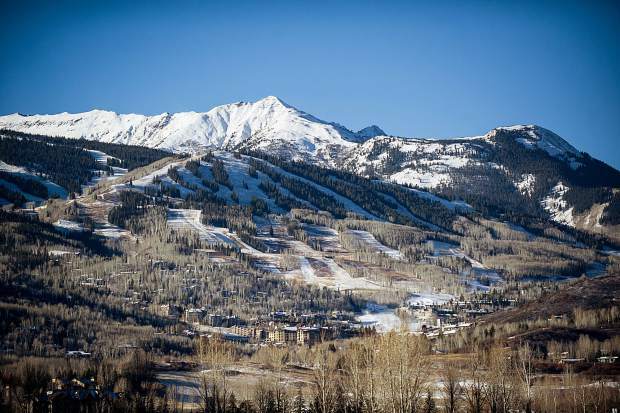 Aspen Mountain received high marks for character (eighth), lodging (ninth), nightlife and dining, according to SKI. Meanwhile, Highlands broke the top 10 for the first time in at least five years. Since 2013 it’s been ranked at 20, 16, 18 and 14 overall before jumping to eighth this year. Highlands deservedly got its highest marks in challenge (fourth) as well as variety of terrain and character (both at sixth). It also racked up recognition for grooming (10th). But within Aspen Skiing Co., Snowmass got bragging rights with its overall fourth-place finish, up from ninth last year. It tied its rating in 2011. Its highest rank was third in 2005 and again in 2007. Snowmass pulled its best scores in grooming (third), ski-in, ski-out lodging (fourth) and lift system (fifth). It ranked second behind only Deer Valley for being kid-friendly. Snowmass Mountain Manager Steve Sewell said he felt the high marks align well with what he sees at the ski area’s strengths. He was glad the grooming crew received attention. “They were third overall. I’m just very, very proud of those guys,” he said. On any given night during the winter, Snowmass has eight to 10 snowcats working the slopes. Sewell said he believes Snowmass has the potential to rank highest on the survey. The mountain improvements have been completed. Now Skico and its partners are working to complete Base Village, which includes one of Skico’s Limelight Hotels. That is expected to add to the liveliness of the base. “I think we’ll have the complete package once Base Village is in,” Sewell said. He quipped that high marks in the annual SKI survey are meant to be touted and lower marks meant to be ignored. Snowmass didn’t gain high marks for variety of terrain, which loyalists believe is a strength.